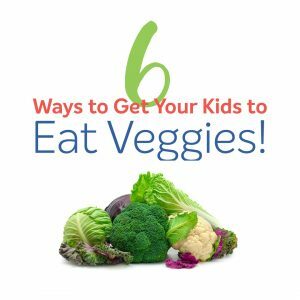 My boys are not that young anymore, but getting them to eat vegetables is still a challenge! They take after me—I didn’t really start to like many foods until I was practically an adult. And my love of vegetables didn’t really start until about five years ago! So I get it! But I still want them to get the nutrition that they need. I must confess, I sometimes still sneak veggies into there food! First of all, I don’t always look to be stealthy in getting my kids to eat vegetables. In fact, at every meal I have them try a vegetable. I want them to learn to like them so that they will continue eating healthy when they are older. I don’t care if it’s something new or the same broccoli that they tried last week—they try it! Actually, over the past three years or so, my youngest, who is 11, has been trying and eating a lot of veggies. It started with his love of bacon. We like to make green beans with a little bacon in them—okay, a LOT of bacon! At first he would eat a couple of small green beans with a lot of bacon, but over time, he started to like green beans for what they where—even without bacon! He then started trying all sorts of vegetables and now will eat kale, collard greens, cabbage, and Brussels sprouts (with bacon), carrots, green beans, asparagus, and sweet potatoes. I’m pretty happy with his veggie-eating progress. His older brother, on the other hand, is very stubborn with all things vegetable. The only veggies he will willingly eat are corn and maybe a few pieces of lettuce. He is 13, and we are working on it, but his taste buds just don’t want any part of it! Enter the hiding of vegetables. For breakfast my kids especially love eggs scrambled with ham, bacon, or sausage (nitrate free, pasture-raised of course). 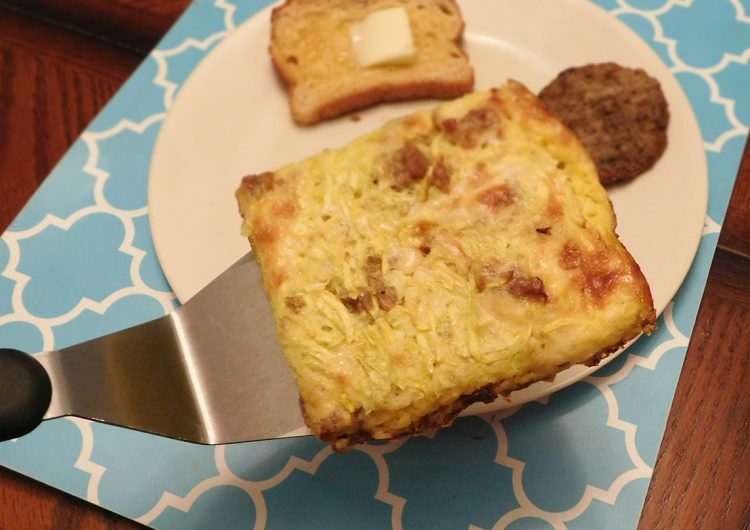 So, I often will bake a crustless quiche with delicious breakfast meat, and add a lot of shredded yellow squash added to it. 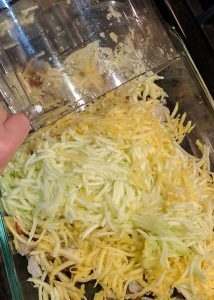 You could use shredded zucchini, but the yellow squash kind of looks like cheese, so I don’t even get a funny look if the kids see me making it! In fact, I only use a small amount of cheese—the rest is pretty much eggs, meat, and squash. 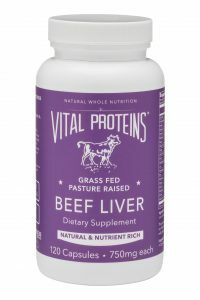 My picky one devours this stuff! The squash actually adds really good flavor to the quiche—I actually think my kids wouldn’t like it as much if I left it out! I’ve been making this quiche with the squash for years, but my son just recently realized that there are vegetables in it. He still loves it and asks for it all the time. Progress!! Pre-heat oven to 375˚. Combine cooked meat, veggies, squash and cheese (if using) in a greased, 9 x13 glass baking dish. Whisk eggs, cream or milk, onion powder, salt, and pepper until mixed and somewhat frothy. Pour egg mixture over meat and veggies. Bake for about 40 minutes or until edges are golden and center no longer jiggles. Let rest 10 minutes before cutting and serving. Cut into portions that will work for your kids. Now that my kids are older, I usually cut quiche into 6 pieces and serve it with fruit or gluten-free toast. 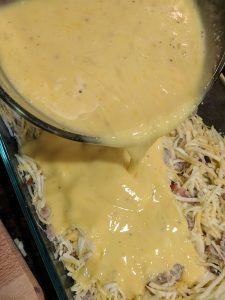 I often make a double batch and once cool, I cut into pieces, wrap, and freeze for easy weekday breakfasts that can be reheated in the oven, toaster oven, or microwave. 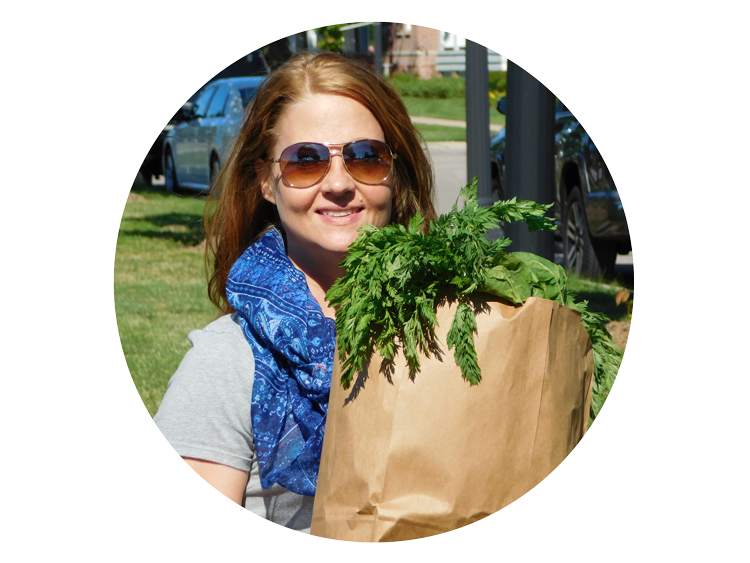 Also see my Superfood Meatball and Carrot Cupcake recipes.